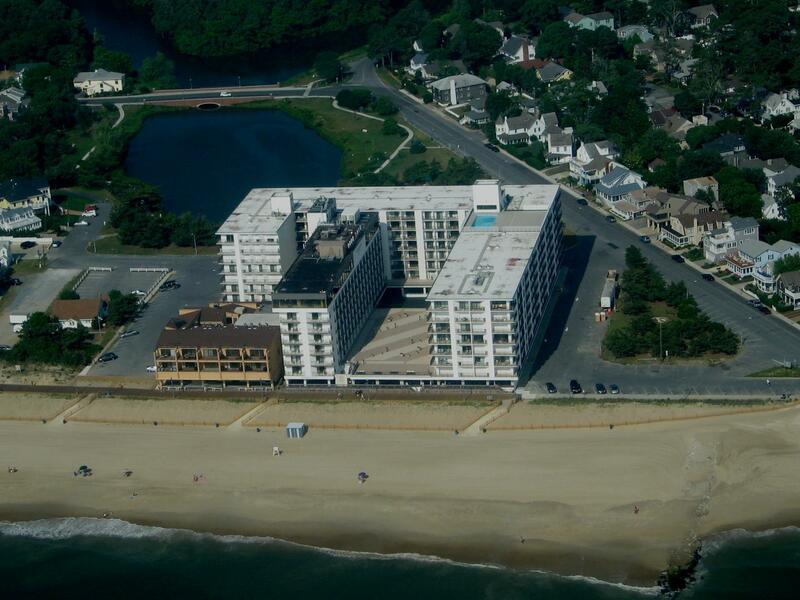 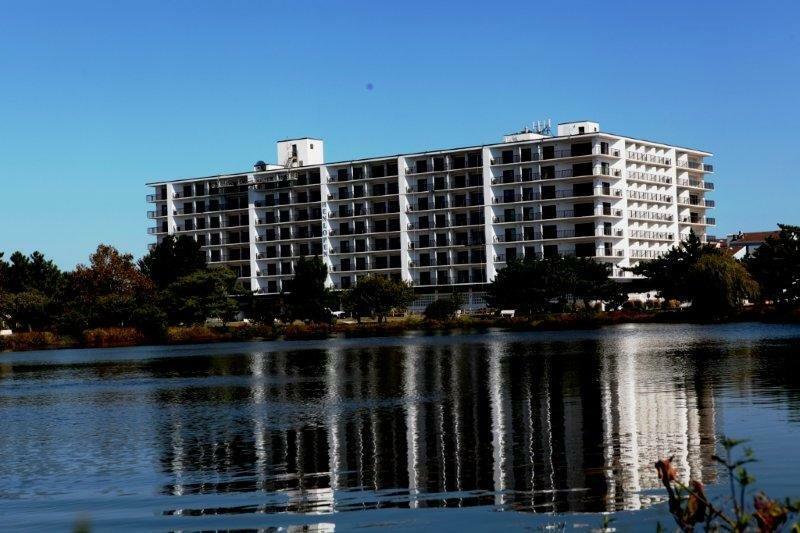 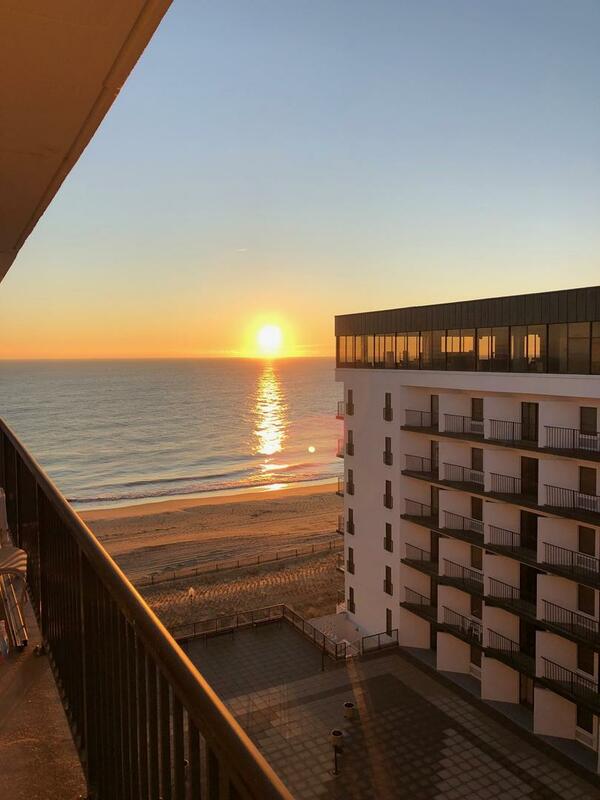 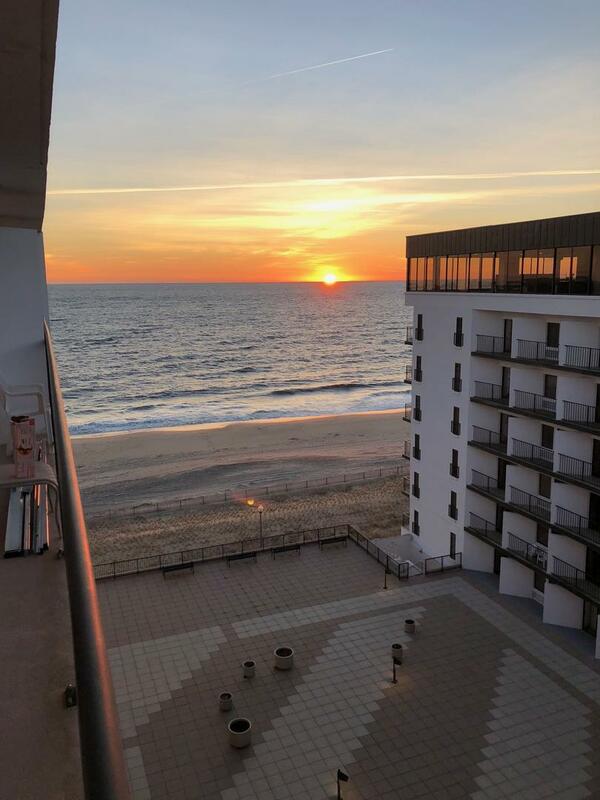 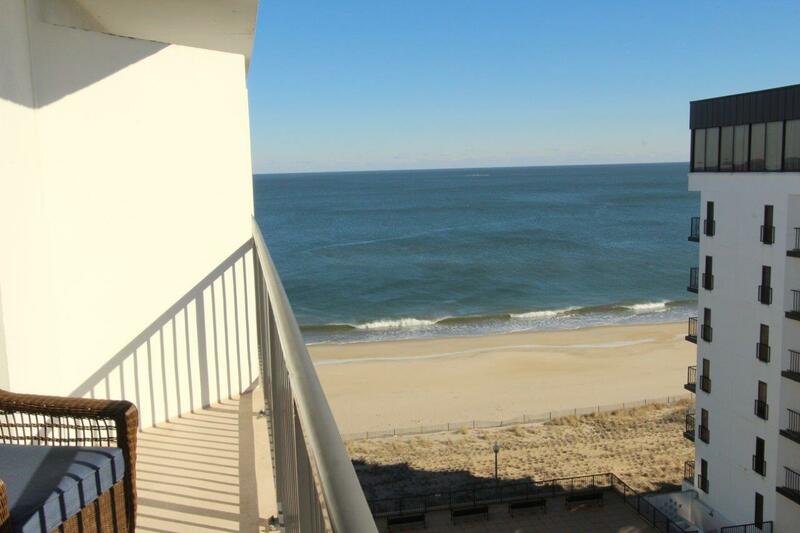 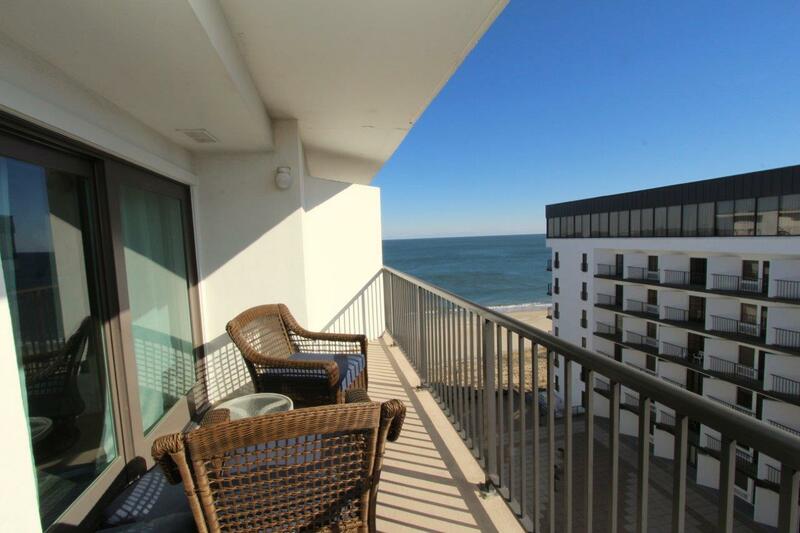 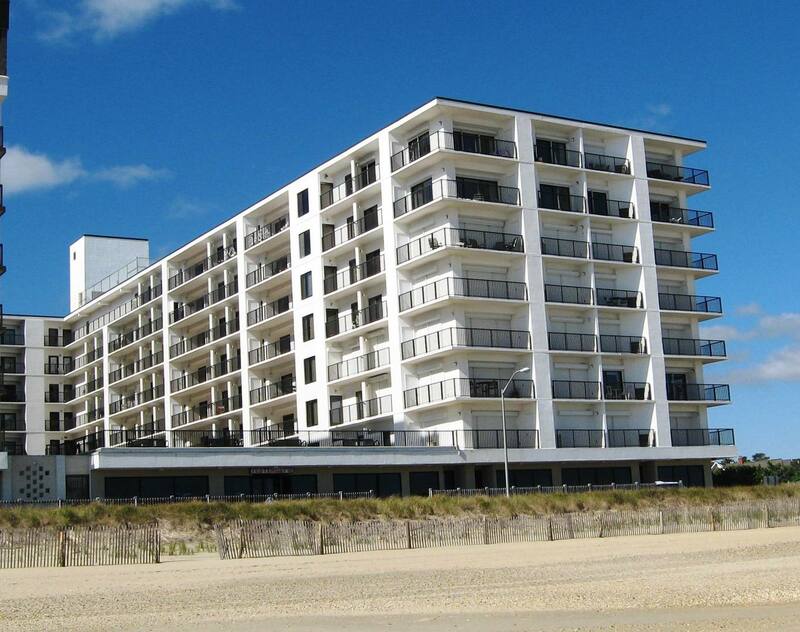 Rehoboth Beach Vacation Rental – Henlopen Unit 805 | The Henlopen Rehoboth Beach Rentals. 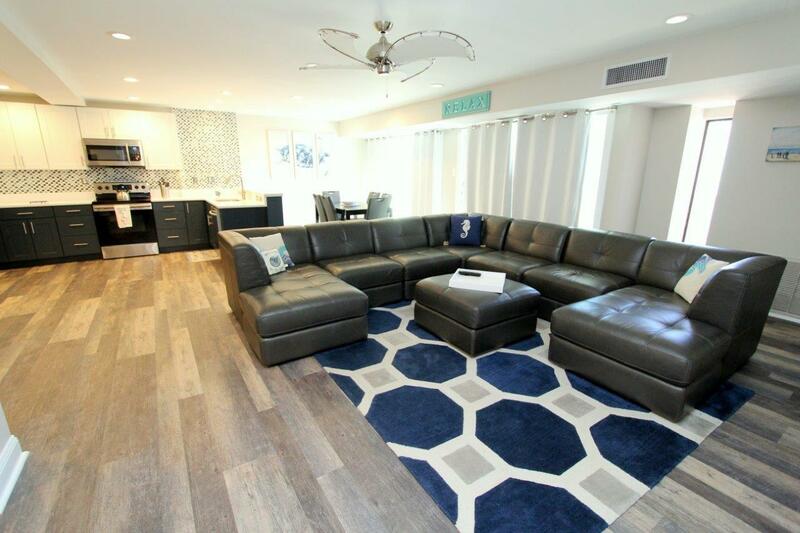 This modern home away from home can be yours too! 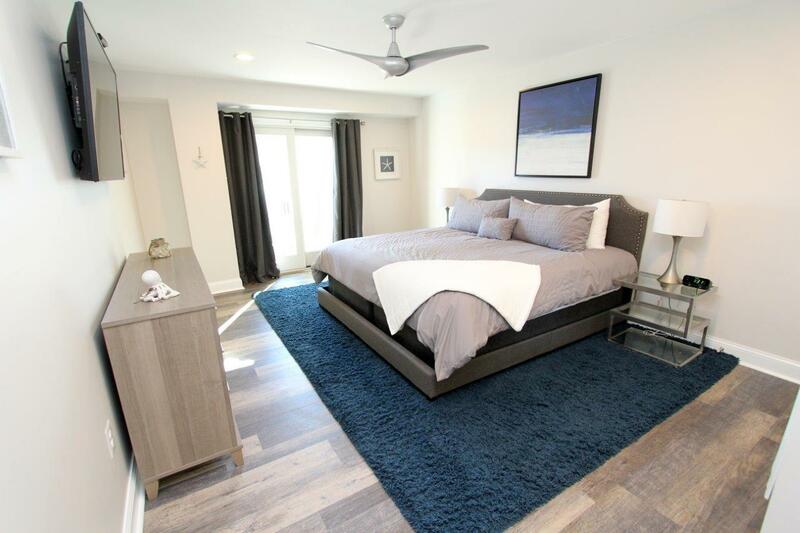 Everything is new in this top floor luxury condo including all finishes, fixtures, furniture, mattresses and bedding. 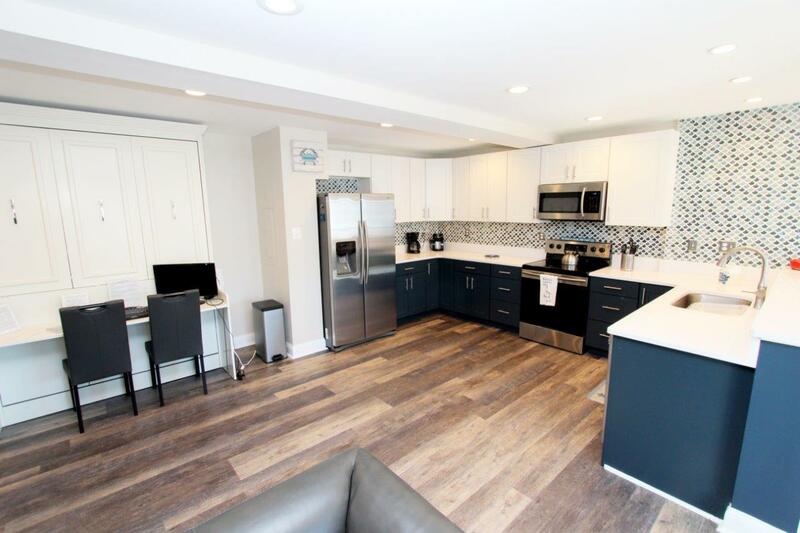 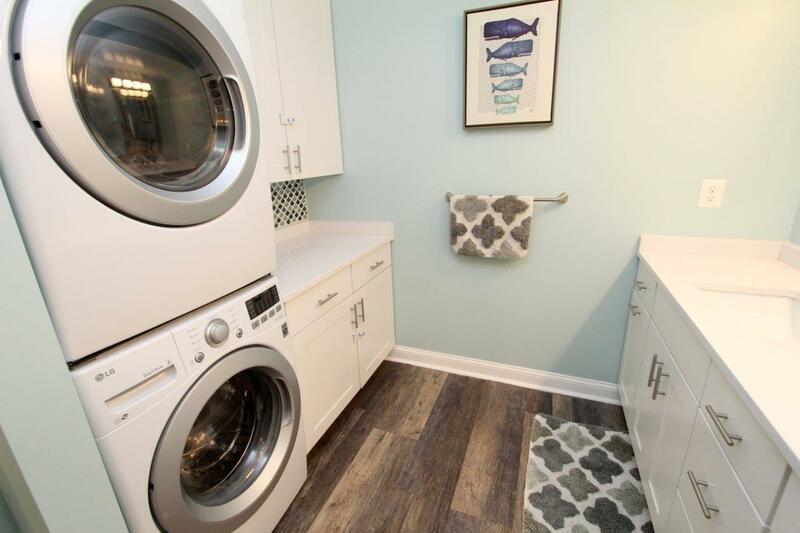 The open designed kitchen features new stainless steel appliances, all new cabinets and natural stone countertops and is fully stocked with everything you need during your stay. 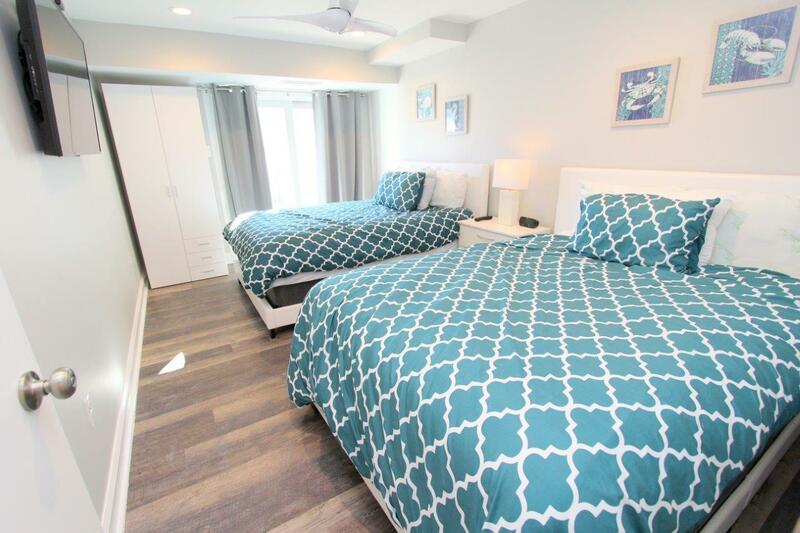 Living area has a desk/queen-sized murphy bed with a regular coil-spring mattress and boasts a leather sectional sofa and two large sliding glass doors opening to a private balcony with ocean view. 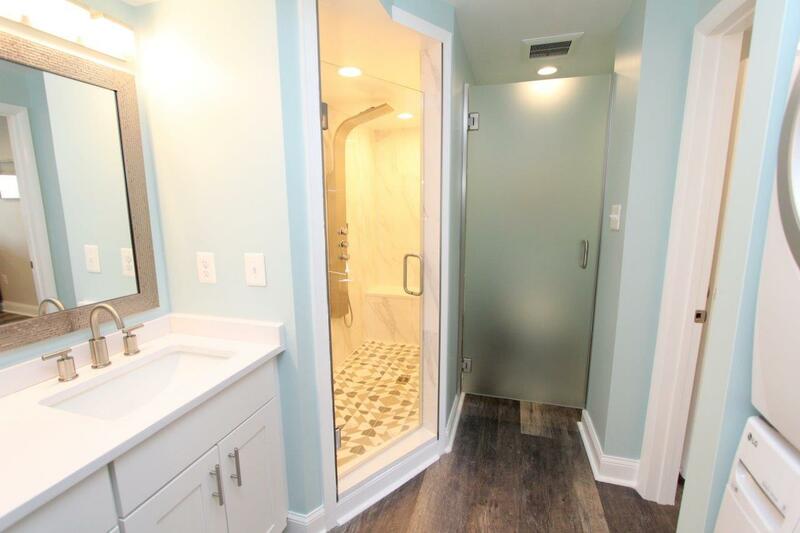 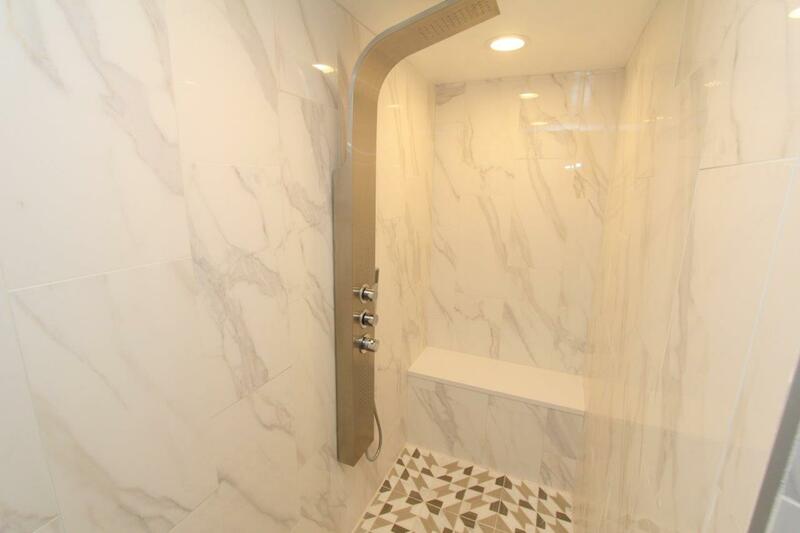 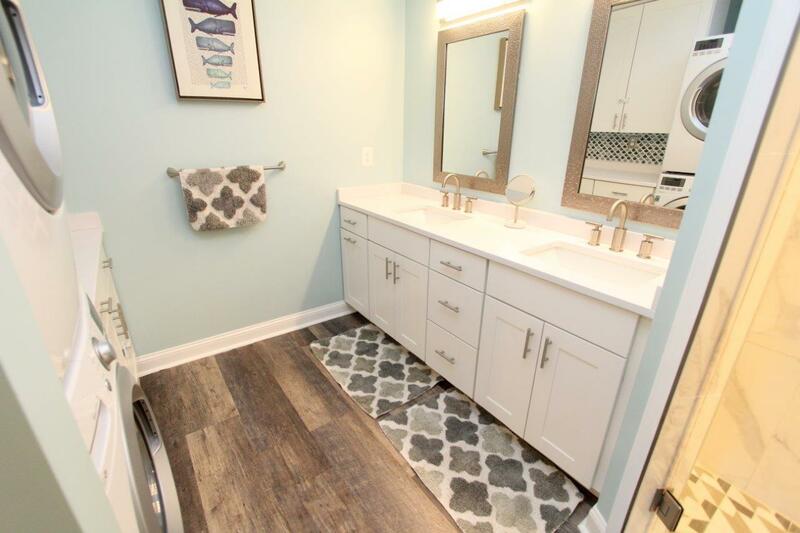 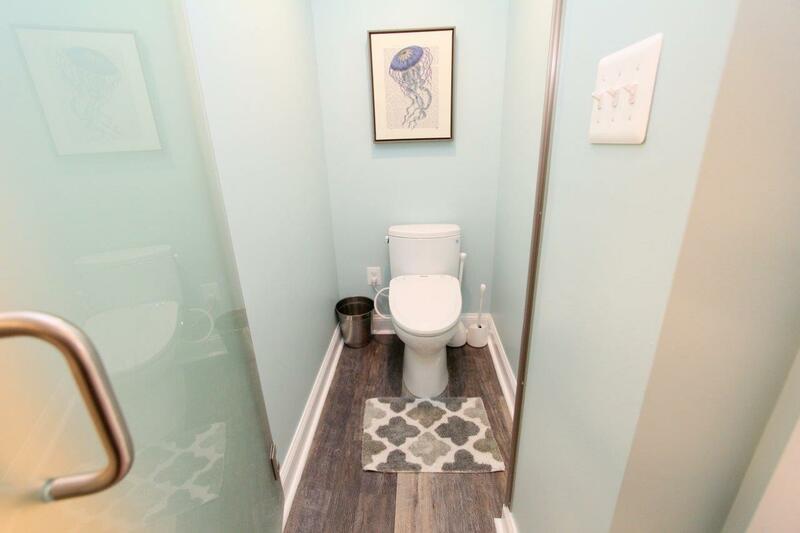 Master bath includes a large oversized shower, ample counter space, a private toilet/bidet enclosure, and a washer/dryer. 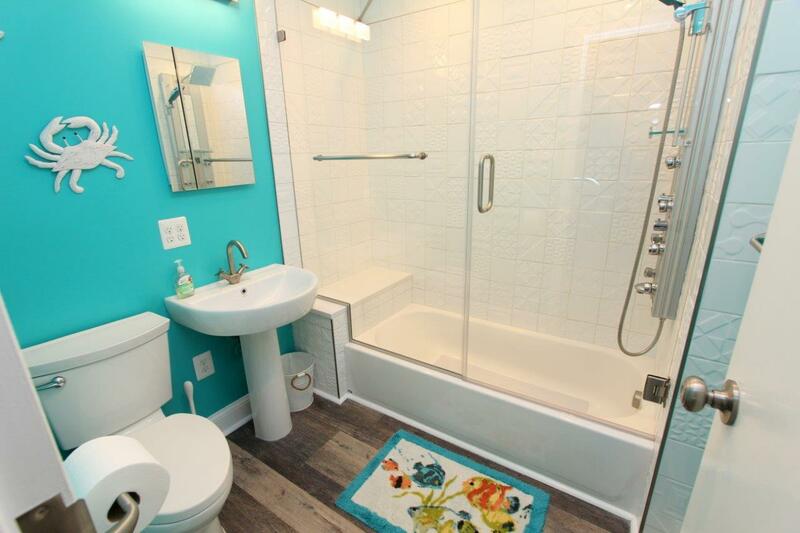 Second bath has a tub/shower perfect for families with small children. 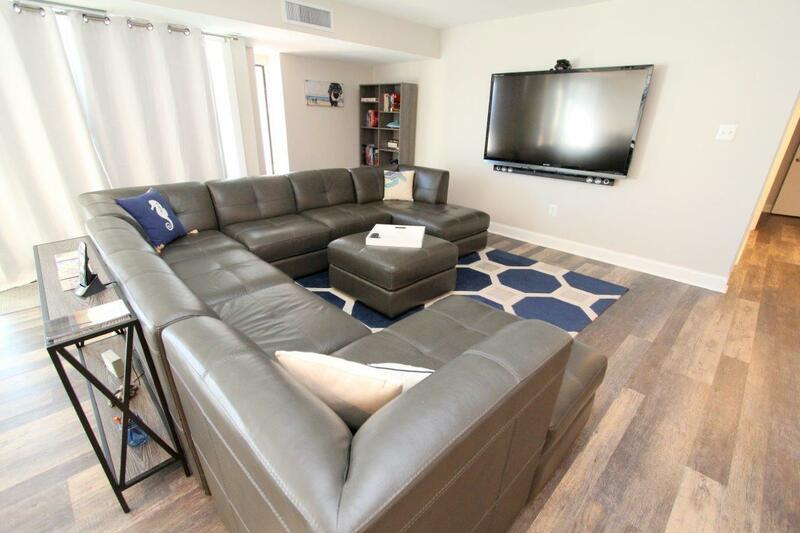 Other features include recessed lighting and ceiling fans throughout, three large wall-mounted HDTVs, each with Comcast cable and access to internet streaming, including a 70 inch screen in the living room with a surround sound home theatre system. 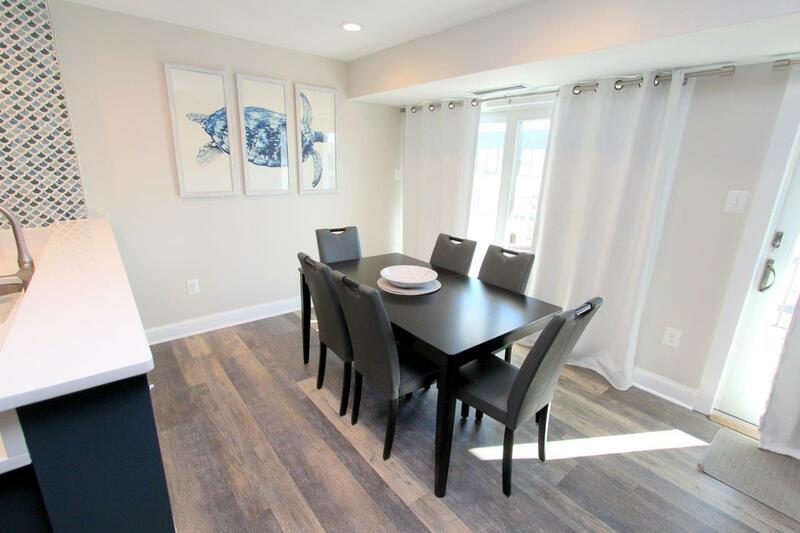 Don't miss this opportunity to secure your week in this beautiful, brand new condo!